Offering you a complete choice of products which include dill oil, natural dill seed oil, dill seed oil, dill seed oil (anethum sowa), dill seed essential oil and bp/usp grade dill seed oil. Keeping in mind the various requirements of the customers, we are involved in offering best quality of Natural Dill Seed Oil . The offered Natural Dill Seed Oil is quality approved and available in the market in safe packaging. Dill Seed Oil (Natural) is extensively used as calming agent, in stomach problems, as a spice and in a diluted form for applying on the scalp to protect hair. Our products are available at reasonable rates. Source The oil is obtained by steam distillation of the crushed seeds of anethum sowa. The natural oil is pale or almost colourless liquid oil. Odour The odour is light and fresh, warm spicy, reminiscent of caraway. The taste is warm slightly buring but pleasant and aromatically sweet. Uses Used in flavours for baked foods, ,meats, etc. , in pharmaceuticals, and to some extent in perfumery compounds. Well known for our skilled expertise, we offer fragrances for a comprehensive range of Dill Seed Oil to our esteemed customers. Our expert professionals work with utmost precision to obtain these dill seed oil from superior quality raw material. Available at reasonable prices, these products are widely used and appreciated by our clients for their purity and aromatic fragrance. These products can be utilized for flavoring of various food items and perfumery compounds. We are having the best dill seed oil grown in india.. we assure you for the quality. Dill oil is the oil extracted from the seeds or leaves/stems (dillweed) of the Dill plant. Dill oil is known for its grass-like smell and its pale yellow color, with a watery viscosity. 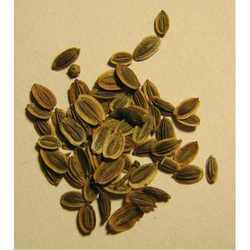 Dill seed is the fruit of the dill plant, while dillweed refers to the leaf and stem. 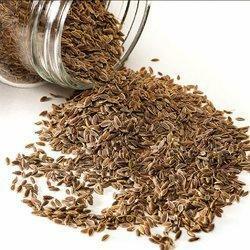 We offer fragrances for Dill Seeds Oil which is scientifically known as anethum sowa (Indian). These oils are obtained through steam distillation of the crushed seeds of anethum sowa. The natural oil is pale in color or almost colourless in nature. These oils have specific odour which is light and fresh, warm spicy, reminiscent of caraway. The taste is warm slightly burring and sweet. The specific gravity of these oils are 0. 911 (0. 910 to 0. 980) and the optical rotation " 54º ( 40º to 60º)". The refractive index is 1. 4840 (1. 4860 to 1. 4950) d-carvon and it also posses 40%solubility in alcohol and other organic solvents. These are widely used as a flavoring agent for baked foods, meats, pharmaceuticals and to some extent in perfumery compounds. Widely known as Dill Seed Essential Oil (50) and scientifically medicinally which is obtained by steam distillation of the crushed seeds of anethum sowa. The natural oil is pale or almost colorless and the odour is light and fresh, reminiscent of caraway. The taste is warm slightly buring but pleasant and aromatically sweet. The specific gravity is around 0.928 (0.910 to 0.980) and the optical rotation 45º ( 40º to 60º).The refractive index 1.4860 (1.4860 to 1.4950) and the composition of d-carvone is around 50%. The solubility of these oils is in alcohol and other organic solvents. Our products are used as agent to enhance the taste of baked foods, meats and perfumery compounds. We also offer wide range of fragrances for BP/USP GRADE Dill Seed Oil , which is refined and synthesized under our facilities. These are used in various pharmaceutical and allied fields. Our products are manufactured under stringent quality norms. These are available in standard packaging. 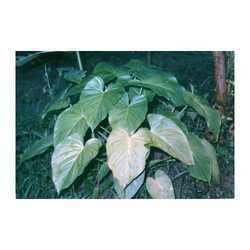 Our products are herbal and have minimum side effect. These are available in the market at affordable rates. We offer fragrances for Dill Oil is obtained by steam distillation of the crushed seeds of anethum sowa. These are widely used as flavoring agent for processed foods. The specific gravity of these oils are around 0.946 (0.910 to 0.980) and the optical rotation is about +34º (+30º to +60º). The refractive index displayed by these oils is 1.4890 (1.4860 to 1.4950). These oils exhibit solubility in alcohol and other organic solvents. 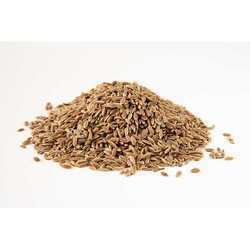 Looking for Dill Seed Oil ?